Some degree of back pain and discomfort from time to time can be normal. However, with more and more people spending large portions of the day hunched over smartphones and tablets, and sitting at a desk for hours at a time, the incidence of strain and injury to the cervical spine (neck), thoracic spine (mid-back) and lumbar spine (lower back) are on the rise. When combined with traumatic accidents and degenerative disc and joint disease, countless people suffer from spine conditions every year that causes severe pain, major health issues, and disruptions of both personal and professional life. Los Angeles-based orthopedic spine surgeon Dr. Steven Meier and his team at Meier Orthopedic Sports and Regenerative Medicine offer diagnosis and treatment for chronic back and neck pain and spinal orthopedic problems. To learn more about how our team can help you, contact us online or call 310.777.7845 to schedule an appointment. Chronic back pain, stiffness, and mobility problems can signal a spine injury. An accurate diagnosis at an orthopedic spine center is necessary to develop an appropriate treatment plan and to prevent the damage from getting worse. Dr. Meier and his team at MOSM offer a range of orthopedic services and sports medicine for spine problems and chronic pain including regenerative medicine (prolotherapy, stem cell injection therapy, platelet rich plasma) and minimally invasive spine surgery. The following conditions result in a wide range of spinal disabilities and are treated through cutting-edge orthopedic care at MOSM. Chronic Muscular Strain – Persistent muscular strain can result from a combination of bad posture, poor body mechanics, repetitive sedentary activity (such as desk and computer work) and holding fixed positions for long periods of time. The muscles that support the spine become deconditioned, unbalanced, chronically strained and then inflamed and irritated, causing muscle pain and spasm. Modalities that can be helpful in treating chronic muscular strain include physical therapy, improving ergonomics in the workplace and trigger point injections. Degenerative Disc Disease – Over time and with age, the soft discs that provide cushioning between the vertebral bones in the spinal column can become worn down and collapse. This collapse takes away the cushioning effect of the disc on the spine. Disc degeneration can result in discogenic pain and microinstability, or “slippage,” between the vertebral bones causing inflammation and pain. As discs degenerate, they can protrude and herniate outside of the confines of the normal disc area. When disc protrusions and herniations press on or pinch nearby spinal nerves, this can cause pain, numbness, and tingling radiating down the arms or legs, symptoms of radiculopathy. Degenerative disc disease is a common condition of aging. Lifestyle factors like smoking and being overweight can also accelerate desiccation of the discs, contributing to degeneration. Modalities that can be helpful in treating chronic pain from degenerative disc disease include physical therapy, prolotherapy, PRP, stem cell therapy and annulo-nucleoplasty. Disc Herniation – Spinal discs are made of a tough, fibrous outer layer (annulus) and a fluid, gel-like interior (nucleus) that provides the cushioning and shock absorption for the vertebrae in the spine. Herniation causes the inner portion of the disc to protrude through a crack or tear in the exterior layer, which can press against the spinal cord, resulting in pain, numbness or weakness. Disc herniation can occur anywhere in the spine, and most commonly affects the neck and back. Radiculopathy – When a disc protrudes or herniates, causing pressure on one or more of the spinal nerves exiting the spine, this can cause pain or “electrical” sensations radiating down the arms or legs. This can also be accompanied by numbness or tingling and in more severe cases, there can be weakness in the limb. Modalities that can be helpful in treating symptoms of radiculopathy include physical therapy, traction, epidural injections, prolotherapy, platelet rich plasma (PRP), stem cells for orthopedics and sports medicine, and percutaneous discectomy. Facet Joint Pain – Each of the vertebral bones in the spinal column are connected to one another via an intervertebral disc in the front and two facet joints in the back. Facet joints allow a small amount of mobility between each vertebral bone giving the overall spine mobility to bend and twist. The contact surfaces of facet joints are covered in cartilage, just like the larger joints of the body, such as the hip and knee. Normally smooth cartilage can degrade as joints degenerate and become arthritic. Just as the hip and knee can degenerate and become arthritic, so can the facet joints of the spine. When the joints degenerate and the cartilage surfaces become rough, this can cause inflammation of the nearby tissues, resulting in pain. Modalities that can be helpful in treating symptoms of facet joint pain include prolotherapy, PRP, and stem cell therapy. Whiplash/Cervical Strain – One of the most common neck injuries, whiplash is the result of a forceful back and forth jerking motion of the neck, typical in car accidents with rear end collisions. The violent forces of whiplash injury typically result in strain and tearing of the supportive ligaments that connect the vertebral bones making up the spinal column. Although these ligaments do tend to mend themselves, some victims of whiplash injury go on to suffer from chronic neck pain, stiffness and/or headaches due to spinal instability from residually stretched out ligaments. Modalities that can be helpful in treating chronic pain from whiplash injuries include physical therapy, prolotherapy, PRP and stem cell therapy. Periscapular Strain (Levator Muscle/Rhomboid Muscle Strain) – Chronic pain in the back of the shoulder and around the shoulder blades can be associated with chronic stress and repetitive sedentary work. This commonly involves the periscapular muscles than run from the neck and upper spine to the shoulder blades including the levator scapulae and rhomboid muscles. Myofascial trigger points can often be found within the irritated muscles. These are small and very tender contraction knots that develop in a muscle due to restricted circulation and lack of oxygen, which can cause referred pain up and down the length of the muscle. Modalities utilized at MOSM to treat periscapular strain include physical therapy, trigger point injections, prolotherapy and biopuncture. Spondylolysis – Spondylolysis is a defect or stress fracture in the pars interarticularis of the vertebral arch in the spinal column. This condition commonly affects the lowest lumbar vertebra (L5) and is responsible for pain in the lower back at the base of the spine. Spondylolysis is especially common in adolescents who over-train in sports involving forceful hyperextension and rotation. A significant amount of individuals with spondylolysis go on to develop spondylolisthesis. Modalities utilized at MOSM to treat spondylolysis include physical therapy focused on trunk stabilization and core strengthening, anti-lordotic bracing, prolotherapy, PRP and stem cell therapy. While surgical intervention, such as spinal laminectomy and fusion, has been described to treat this entity, we at MOSM prefer to avoid invasive surgery in treating this condition. Spondylolisthesis – Spondylolisthesis is the forward displacement of a vertebra due to a defect in the pars interarticularis of the vertebral arch in the spinal column. This condition commonly affects the fifth lumbar vertebra (L5). Modalities utilized at MOSM to treat spondylolisthesis include physical therapy focused on trunk stabilization and core strengthening, prolotherapy, PRP and stem cell therapy. While surgical intervention, such as spinal laminectomy and fusion, has been described to treat this entity, we at MOSM prefer to avoid invasive surgery in treating this condition. Sacroiliac Joint Pain – There are two sacroiliac (SI) joints located on either side of the lumbar spine where the spinal column connects with the pelvis. The joints help to evenly distribute and balance the weight of the upper body during movements like walking and standing from a seated position. Just like other joints, the SI joints are subject to inflammation, cartilage deterioration, or impact from trauma or a sports injury, which can lead to lower back pain. Sacroiliac joint dysfunction has traditionally been underrecognized and underappreciated. A thorough physical examination for lower back complaints must include evaluation of the sacroiliac joints. Modalities utilized at MOSM to treat sacroiliac joint dysfunction and pain include sacroiliac joint injections, prolotherapy, PRP, stem cell therapy and minimally invasive percutaneous fusion (iFuse). Coccydynia (Tailbone Pain) – The coccyx (tail bone) is the base of the spine. An injury to the coccyx, the most common source being trauma and childbirth, can lead to pain that is most intense when the person is sitting down. It is more common in women, but can also result from tumors. Although the pain is usually most intense when standing up from a seated position, any form of pressure on the lower back can aggravate coccydynia. Modalities utilized at MOSM to treat coccydynia include prolotherapy and minimally invasive excisional surgery. Failed Back Syndrome (FBS) – Also known as failed laminectomy or failed back surgery syndrome, FBS is a term for unsuccessful back surgery, resulting in persistent post-operative back and/or leg pain. In evaluating FBS, it is important to determine the cause of failure to select the most appropriate management approach. Some patients with FBS who have run out of options respond favorably to implantation of a spinal cord stimulator (SCS). This device is similar to a cardiac pacemaker. A spinal cord stimulator exerts pulsed electrical signals to the spinal cord to control chronic pain. It consists of stimulating electrodes that are implanted into the epidural space around the spinal cord and a small electrical pulse generator implanted under the skin in the lower abdominal area. The electrodes are connected to the generator via conducting wires buried under the skin. The generator is controlled via a remote control. 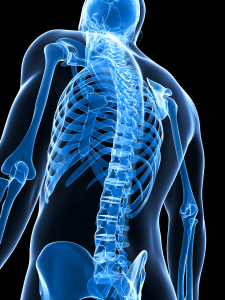 At MOSM, patients who present after having failed back surgery elsewhere are evaluated to see if they are a candidate for SCS. Candidates who meet the qualifying criteria then undergo an SCS trial. If the trial is successful, the patient can then undergo formal SCS implantation. An orthopedic spine specialist should evaluate symptoms that do not respond to conservative treatment and do not resolve within a few weeks in order to provide proper treatment as soon as possible. While some conditions may be corrected with a minor change to daily routines in order to allow the body to heal over time, many more can reach a better outcome with progressive orthopedic care. At Meier Orthopedic Sports and Regenerative Medicine, we are at the forefront of cutting-edge orthopedic spine treatments and regenerative medicine care that allows for the most effective and natural healing possible. 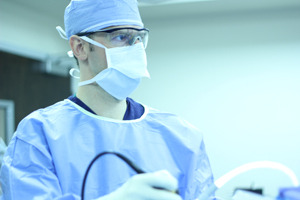 Our minimally invasive surgery techniques provide patients with treatment that directly targets the condition and allows for the quickest post-surgery recovery possible. medlineplus.gov provides more information on the right treatment for you. In addition, regenerative medicine techniques, such as prolotherapy and stem cell therapy, allows the body regrow the vital tissue needed to stay healthy and pain-free. In each case, Dr. Meier will work to provide patients with treatments customized to their unique needs for the best care possible. Many spinal orthopedic conditions that are often treated with open back surgery can now be treated with minimally invasive procedures that significantly reduce the risk of side effects and improve healing and recovering times. Through the use of stem cells, Dr. Meier and the MOSM orthopedic team can provide cutting-edge treatment options to a wide variety of orthopedic spinal problems. Back problems and chronic pain can be debilitating and drastically diminish the quality of life for people of all ages and activity levels. In accordance with Dr. Meier’s medical mission of #KeepingYouActive, pain does not have to be a way of life. For more information on minimally invasive treatments for a back injury or spine problem, contact Meier Orthopedic Sports and Regenerative Medicine by calling 310.777.7845 to request a consultation with an orthopedic spine specialist today.